Those are the words of former college football coach Bobby Knight. 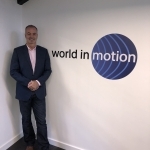 It’s doubtful World in Motion client Liam Williams has ever heard of Knight – or even that quote – but he’d certainly agree with the sentiment. 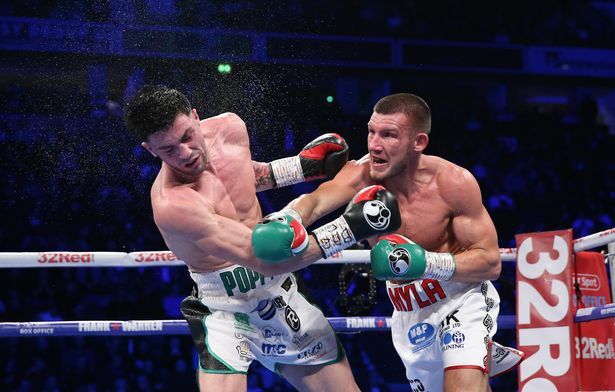 In December, the 26-year-old secured the British middleweight title – stepping up from super-welterweight to stop the previously unbeaten Michael Heffron in arguably his best performance to date. 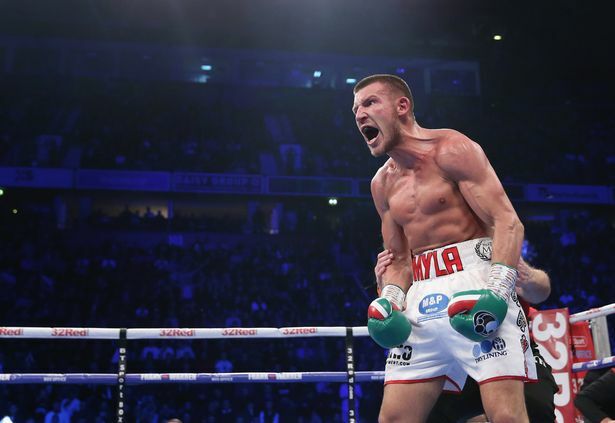 It was a stunning victory that points towards a brighter future after Williams’ career had suffered the blow of two controversial defeats to Liam Smith. 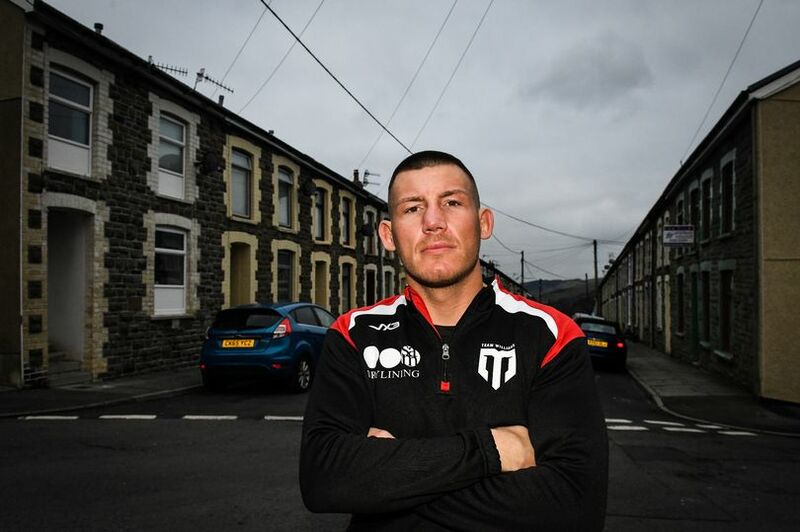 The former roofer from Clydach Vale outboxed the more favoured Heffron, shocking the majority of boxing fans and pundits who had written him off. “I was meant to lose,” explains Williams. “I was pretty much getting fed to the lions. “Even the average man on the street didn’t really believe in me to win. “After the Smith fights, I thought I was on the wrong end of a bad decision, but after that people were thinking how much more motivation has he got? He’s had a couple of big fights. He’s had two decent paydays. Does he really want to that much now? “That was the biggest achievement for me. I was just so happy to to prove to people, not so much winning the title itself, it was proving to people that I was still here, proving that I’m a contender. The journey for Williams to this point hasn’t always been straightforward. He started in boxing as a nine-year-old, with his first amateur fight coming a year later. 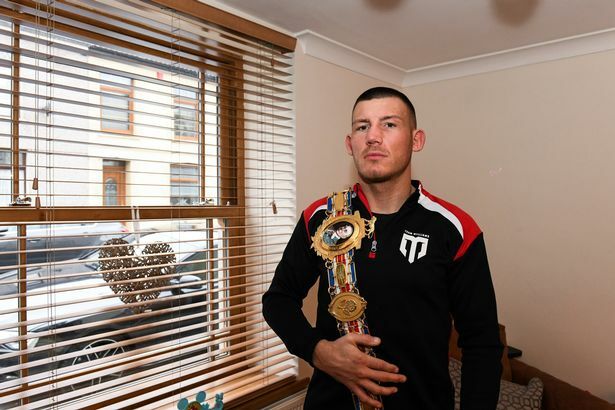 Throughout his teenage years, the Rhondda product was a stunning success – winning 44 fights from 49 on his way to eight Welsh titles and five British titles at all ages. He was practically a man fighting in a boy’s world. “I’d always had a kind of rough upbringing in terms of like my mum toughening me up. My family aren’t soft people so I’ve always had that inside me as a bit of a fighter. “I was 10 or 12 year old but it was like I was like 18 physically. I was very, very strong and I could punch hard. I was a lump for my age. “I was fighting at 75 kilos when I was 13. And I’m only fighting at that now when I’m 26. That’s 13 years on so you can imagine I was probably a roughhouse as a kid! “I was always just very strong. I was a brawler as kid, always just wanted to fight. Perhaps that’s what makes his victory over Heffron last year so impressive. 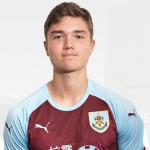 Having been the bigger fish playing on his superior physicality for so long, this time he was the one who stepped up and he passed with flying colours. “I’ve always been strong for my weight and my age. You come to a point where you’ve got to use your brains a little bit more than just just physical brute force. It’s clear to see that Williams is using his brains right now. That wasn’t always the case when it came to applying himself to the sport. After such a promising career as a youngster, he had the chance of competing at the Olympics games cruelly snatched from him in the most bizarre of ways. “I got run over by a car changing my wheel on the side of the road,” he bluntly states. “Obviously it didn’t help me but I think everything happens for a reason. I am where I am now because of these things. 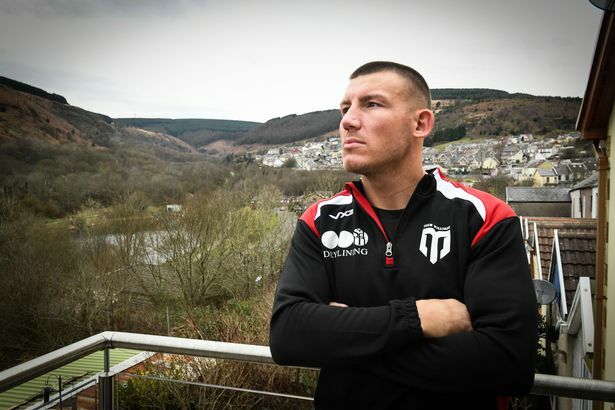 “I was driving home from Bargoed a couple of days before an Olympics qualifier in Turkey. I was nearly in Tonypandy and I had a puncture. I got run over by a woman texting on her phone as I was changing my wheel on the floor. Such a setback, particularly one out of his control, should have left Williams ruing his luck. Instead, it didn’t really affect him. The truth was, he wasn’t really focused on boxing at that point. “To be honest I probably never believed that I would turn professional and achieve what I’ve achieved. The second defeat to Smith left him questioning where he was heading in his career. “That second defeat made me realise that I needed to change someone. I was in the wrong place. He moved from Wales to Sheffield, going from being surrounded by friends and family to living, isolated and focused, in a flat on his own. It’s a move he describes as “one of the best things he’s done” and not just because it saves him from the temptations of his daughter’s chocolate treats and tins of custard. “When I was in Cardiff, every day I’d walk into the gym and it was like ‘what’s up champ’ and ‘how you doing champ’. “Just champ, champ, champ! I didn’t want to be the champion of the gym. “Now I’m in Sheffield surrounded by so many top fighters, I’m kind of an average man in some ways and that brings the best out of me because I’m competing with these guys. It all points towards the idea of Williams being an underdog and even thriving in that environment. Missing the Olympics, being written off ahead of his biggest fight so far, even just being an “average man” in training everyday. Adversity and how he has dealt with it has been a theme in Williams’ career and it’s fair to say that few would still be boxing if they had been through what he has been through. A hand operation in 2014 nearly cut short his career and he points out that his hands in their current state would have “retired most people to start with”. “It’s not so bad now but going back 18 months ago, it was a hard job for me to make the gym even every other day. “With the hand operations in 2014 and having a bit of time out of the ring afterwards, that really hit me hard. “If I don’t fight, then I don’t earn money. I couldn’t fight for 13 months. So it was difficult. “Not even just earning money and stuff, I wanted to be active. I wanted to achieve goals and when you sat in the house twiddling your thumbs, there’s nothing you can do about. “I come across as quite a strong character but it obviously affected me and I wouldn’t have let on to others how much it did. You just try and move on. But I was stuck for over a year and couldn’t do anything. “And I found it very hard to even motivate myself to stay in shape or keep fit knowing full well I’m not gonna be able to fight for for so long anyway. There were other setbacks that had a far more profound effect on Williams than any hand injury ever could. In March 2016, Williams was in Nick Blackwell’s corner for his British middleweight title fight with Chris Eubank Jr, which saw Blackwell spend nine days in an induced coma and fighting for his life. Blackwell survived but his boxing career was over. Then later that year, Williams was again in the corner. This time, he was supporting his friend Dale Evans, who won a fierce welterweight battle against Mike Towell. A day later, Towell died from his injuries. To be involved in one such incident in your career could be described as unusual. Twice, and within such a short space of time, was just freakish. It would, quite honestly, be surprising if Williams had not been affected by ordeal. How do you put those thoughts to the back of your mind? Williams admits it’s just something you head into the ring knowing regardless. “But now I’m confident in my ability,” he adds. “Anybody can have a bit of bad luck and something can happen. “But if it’s down to myself, I’ll never leave any stone unturned. If it’s down to me, that’s never gonna happen. Unless I’m just very unlucky. Given all that he’s overcome, it’s not surprise that he’s grateful, but it’s not enough for Williams to be thankful for what’s he done and the mere fact he’s still here fighting. Up next for Williams is a first defence of his British middleweight title against Joe Mullender in March at the Royal Albert Hall. After that, there are world titles to chase, either at super-welterweight or middleweight, and Williams believes he can go to the very top having answered those doubters and overcome those hurdles. “If I lost that last fight, I’d be asking myself what level am I? Am I just going to hang around at British level? That’s not me. “I’d rather retire right now than just be having British title fights for the rest my life. I wouldn’t be involved in boxing if I didn’t think that I was going to reach the top and do great things. “If I can’t be the best, I’d retire now. This is too much of a hard sport, physically, mentally and in every department, to be an average man. “I’d rather get up and work on buildings every day than go and put myself through what I do put myself through just to be an average man. “I’m very thankful for what I’ve achieved but then no one did it for me but myself. “I’m the one who wanted to dig in every single day and and work hard to get back what I am now. I think that’s why I got so much belief in myself because I go back where I am. Given what he’s overcome, you’d be brave to try.